This term (spring) we will be looking and writing about 'Journey to Jo'Burg' by Beverley Naidoo. It is a story from a another culture and we will be writing letters, diary entries and newspaper reports based on the text. Our English lessons this term have been based around the book 'Tom's Midnight Garden.' We have looked at and written lots of different genres. In year 5, we have been working hard on our Grammar, Punctuation and Spelling skills. We have worked on relative clauses; suffixes -ible and -able; and different types of adverbials. 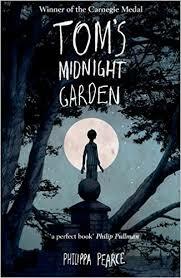 Our Guided Reading has also been based around 'Tom's Midnight Garden'. We look at the text in detail and answer questions using evidence from the extract. We also complete tasks independently based on the book.